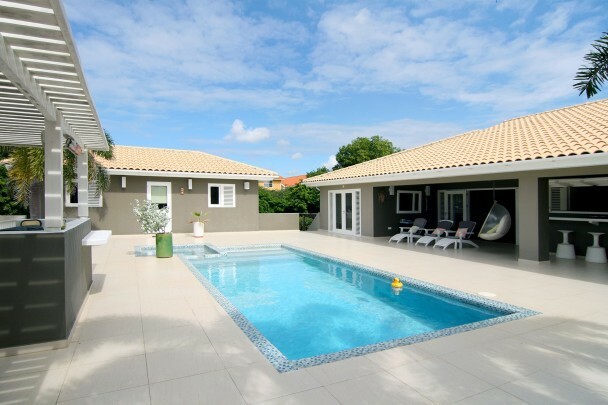 Blue Bay Curacao: house with pool, gym and media room on golf course | € 3.995 / mo. 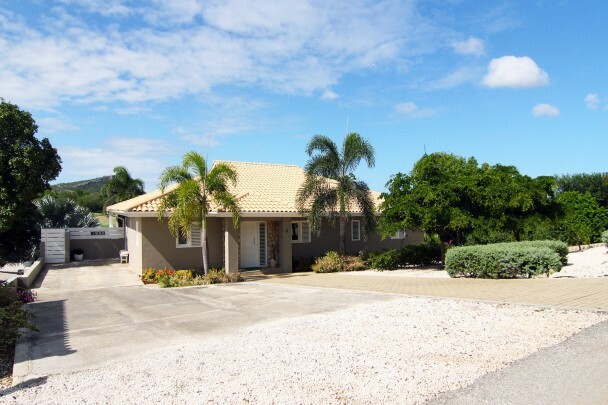 Curacao: Spacious 6 bedroom house for rent with open floorplan and wonderful views over the golf course. 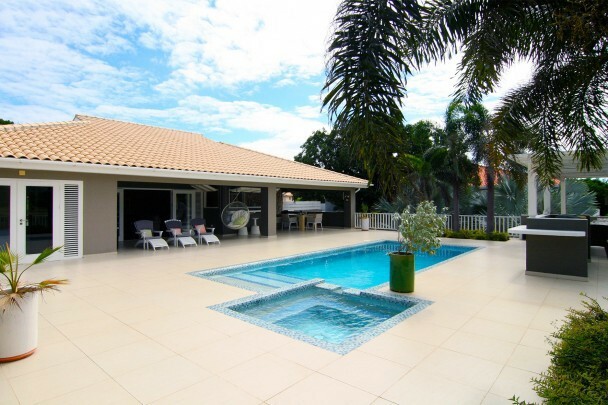 This house has a private pool with Jacuzzi a guest apartment and a media room. We are happy to present this 6 bedroom family home which has a perfect location right next to the golf course on lot BK-8. The covered entrance leads to the hallway and then the living room. The entire home has beautiful hardwood floors. 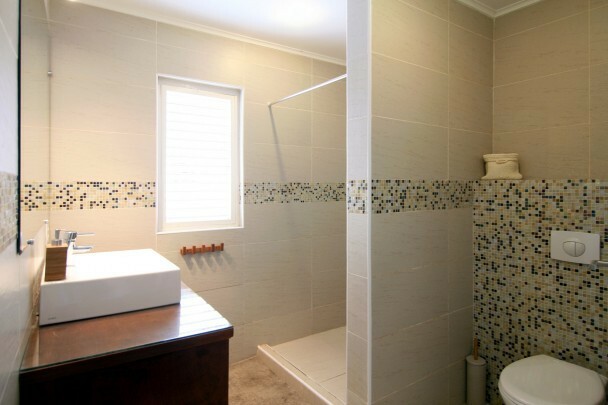 In the hallway, you can access one bedroom with a private bathroom on your left and two more bedrooms on your right that share a shower bathroom. Behind these rooms is the living room that has open doors to the covered porch. 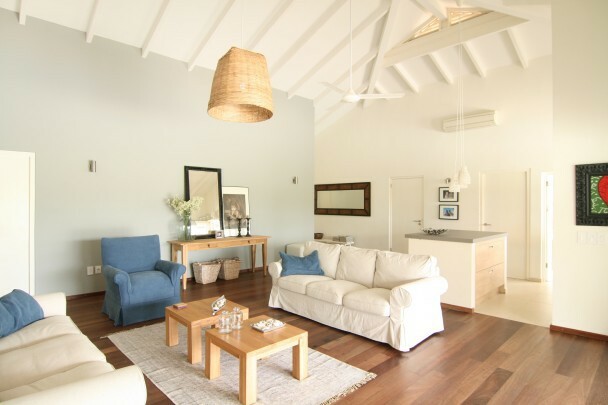 The high vaulted ceilings make the living room appear light and spacious. 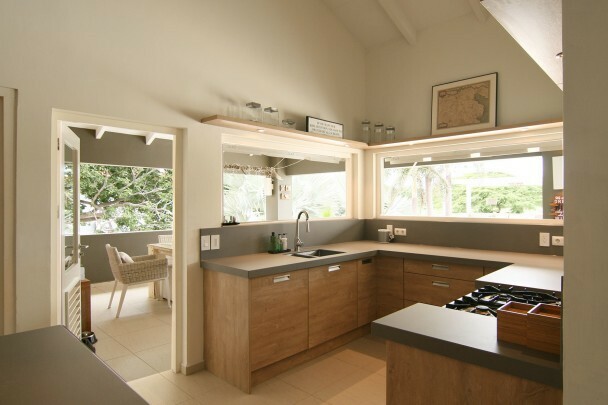 The kitchen has shutter windows that open towards the ceiling so it appears as if you are preparing your food outside while you enjoy the views over the private pool, the covered porches and the golf course behind all that. 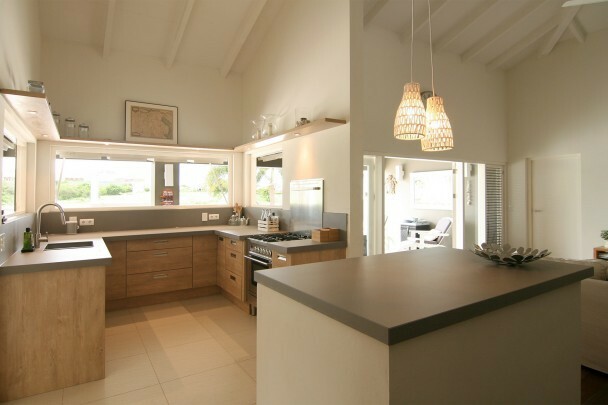 A separate door leads from the kitchen to another porch which has an outside breakfast bar. 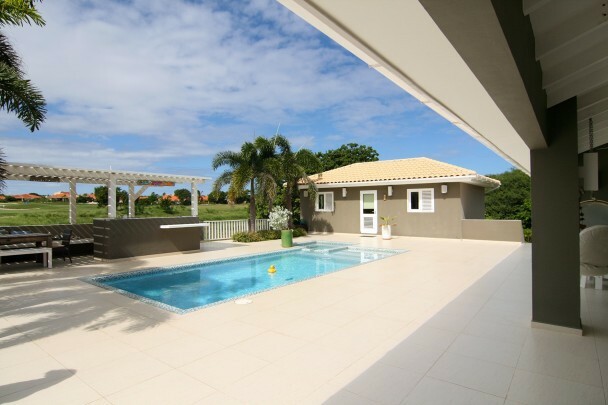 Behind the porch is the swimming pool with separate Jacuzzi and a covered outside barbecue area with bar and dining table. 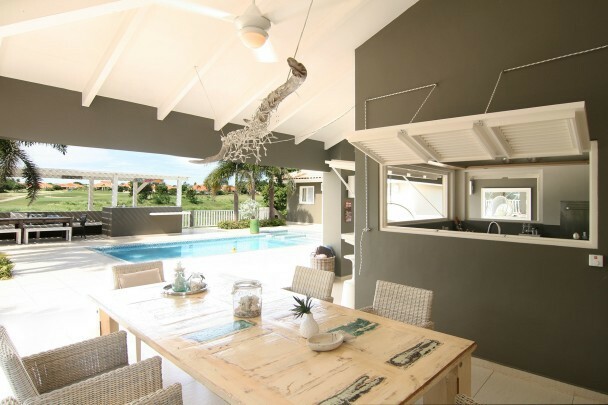 This is the perfect spot for family bbq or to entertain your guests. 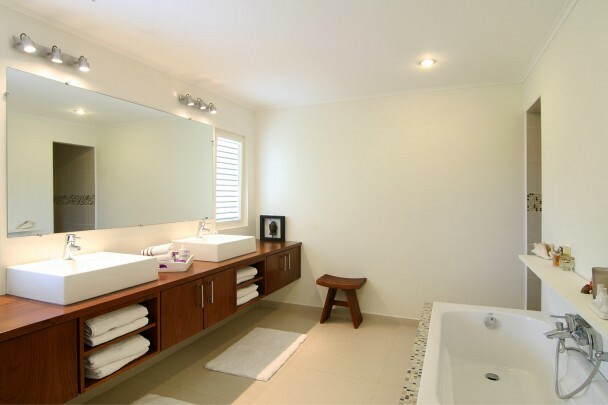 The guest apartment has 2 bedrooms with great views which share a shower bathroom. One is currently used as a gym. 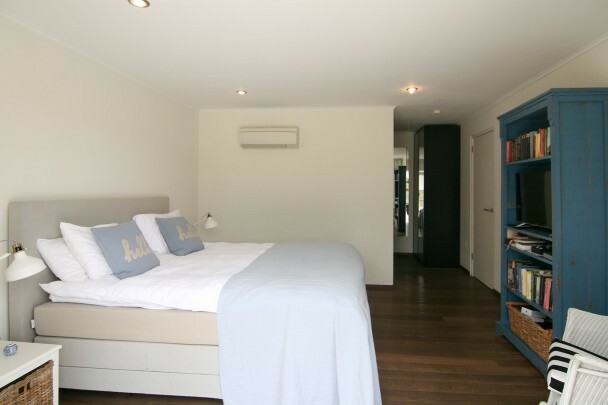 The other as an office but both can also be guest bedrooms. 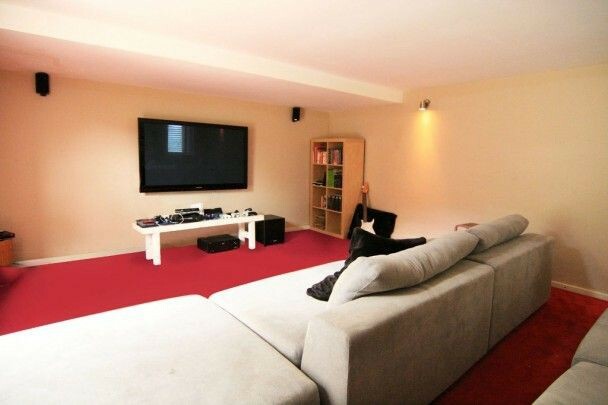 On the lower floor is a large media room/play room which can also be used for other purposes like a home office. Also, there is a large storage room for bikes and garden material. 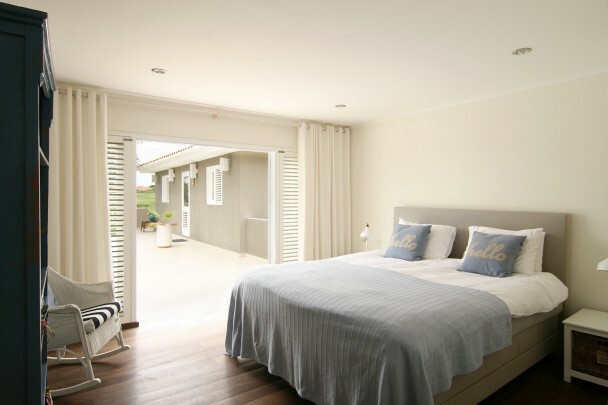 The master bedroom has french doors to the pool deck, a walk-in closet and a large bathroom with bath, separate shower, and double sink. From the driveway, you can enter the home through the pantry/laundry room. 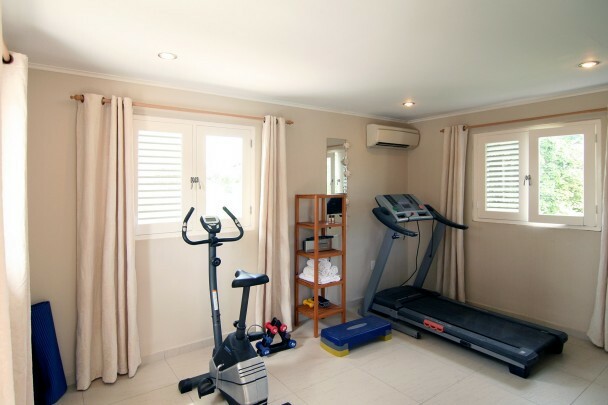 The floor plan further includes a guest half bathroom, a carport for a golf cart and a large landscaped garden with an area for basketball practice. If you would like to receive more information or schedule a viewing, contact Hans Vervoord today! 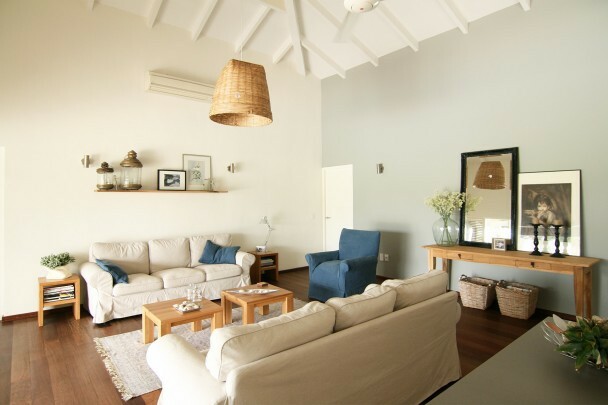 Do you want to buy a home in Blue Bay Resort Curacao? Welcome to the good life in a spectacular 420-acre resort community, right at one of the Caribbean’s most dazzling beaches. 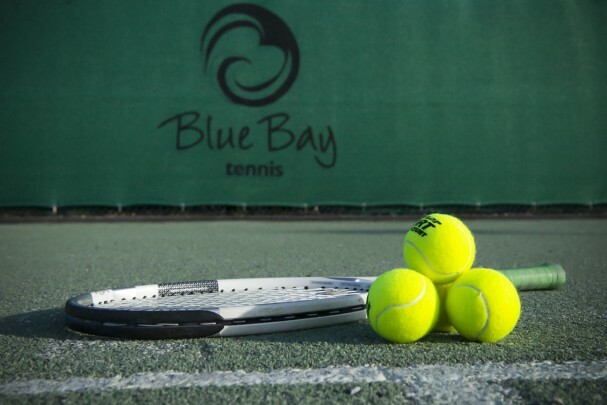 With breathtaking seaside views, world class golf, extensive recreational facilities and a 24/7 hour manned security gate, Blue Bay offers the perfect blend of residential and resort-style living. Blue Bay, a gated community in Curacao, is just a few minutes from the airport and the fine dining, shopping and cultural delights of downtown Willemstad. 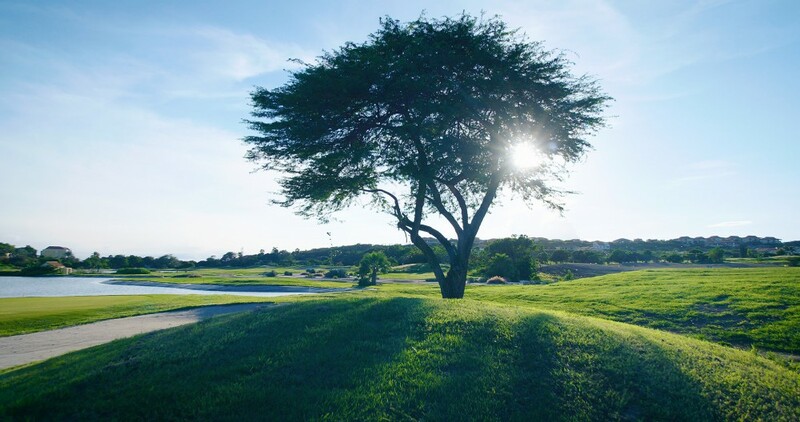 Enjoy the 18-hole championship golf course at your doorstep. 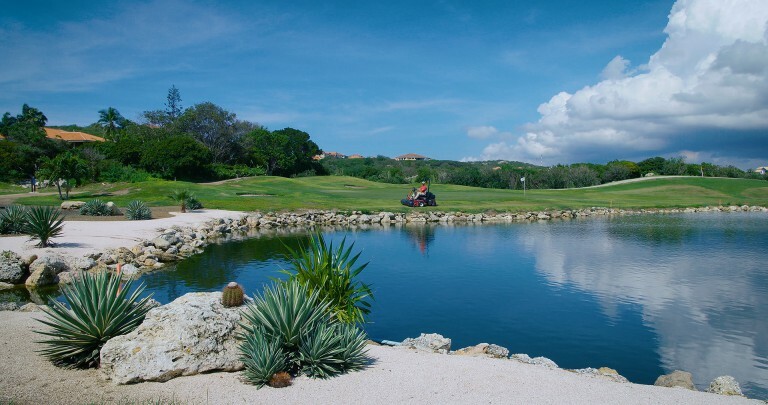 The exciting golf course is well known for its spectacular location and dramatic views. 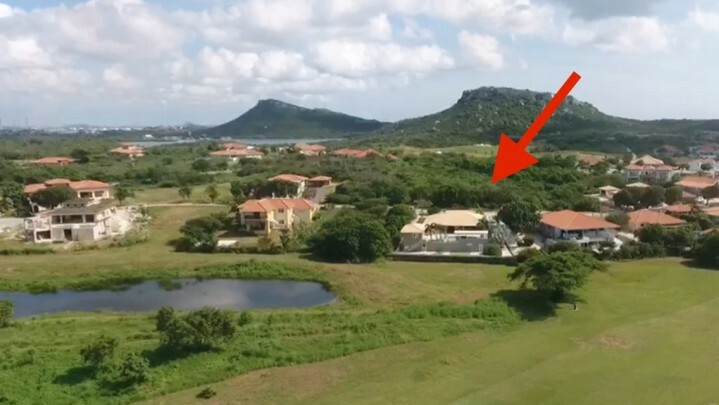 It provides a challenge to any golfer thanks to its undulating layout, relentless trade winds, several holes where you will have to play over or along the Caribbean Sea and the narrow fairways flanked by the water and rugged local vegetation. 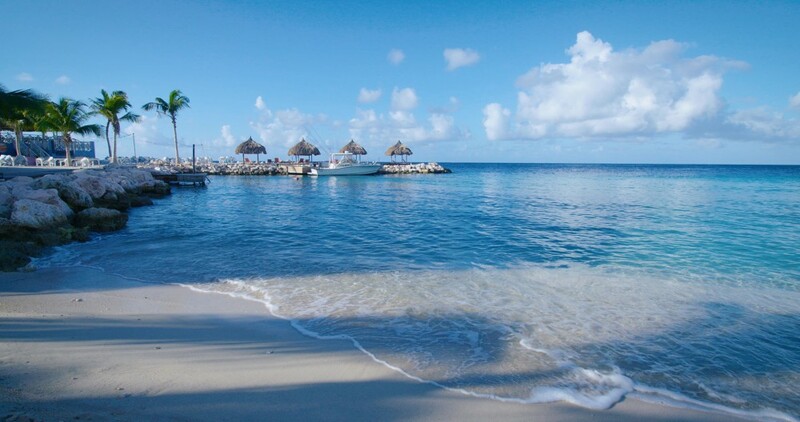 Because of Curacao´s wonderful climate, Blue Bay Golf is open year-round. The course has a great practice facility, a complete Pro Shop and a welcoming bar to cool off after a game. Palm trees azure blue water and tropical temperatures are yours to enjoy at the impeccably maintained Blue Bay Beach. 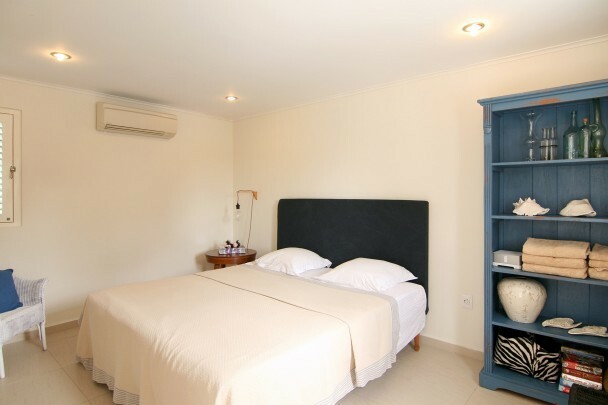 It offers plenty of shady spots, comfortable sun beds, showers, bath- and changing rooms, a playground and many other amenities such as tennis courts. The restaurants Azzuro and Sunset Bar & Grill offer delicious lunch and dinner options. 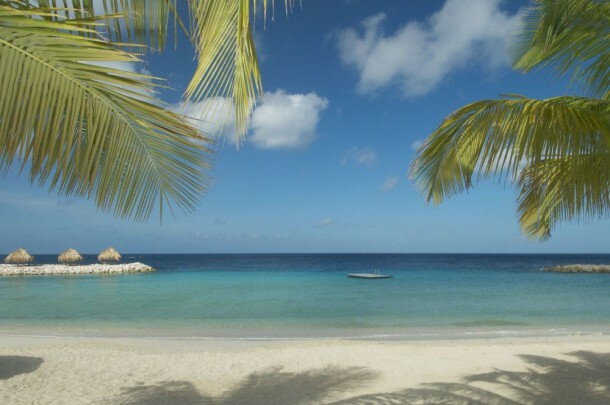 The Blue Bay dive center offers PADI- and DAN courses and has a well stocked dive- and bikini shop. In an international environment like Curacao, objects are listed in various currencies. For your convenience, you are able to adjust the currency in which the objects' listing price is shown. In case the currency displayed differs from the currency the object was listed in, the listing price may seem to change on a daily basis. No rights may be derived from these recalculated numbers. This specific object is listed in NAF.